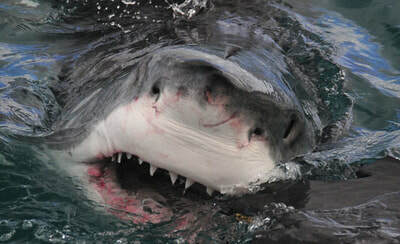 As per Lonely Planet’s 2011 BEST IN TRAVEL: No 1 Best Underwater Experiences Diving with Great Whites, Gansbaai, South Africa. Pricing depends on the number of people in your party. The Great White Shark is one of most feared animals on earth and yet one of the most misunderstood. Cape Town Day Tours has teamed up with Great White Shark Tours to deliver a cape town experience like no other that will not only get you up close to these majestic beasts but also teach you more about them. Leaving early in the morning from your hotel in Cape Town you and your party are driven to Gansbaai in comfort with your guide from Cape Town Day Tours. As the excitement brews, your driver shows you all the sights and scenery you won’t want to miss on your way to a close encounter with a great white shark. 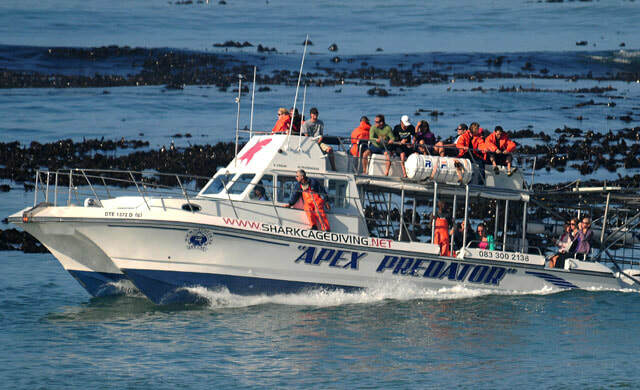 Arriving in Gansbaai your shark chaser tour boat, Apex Predator awaits to take you on a 5-mile sea voyage to Dyer island where the anchor is dropped, and the adventure begins. 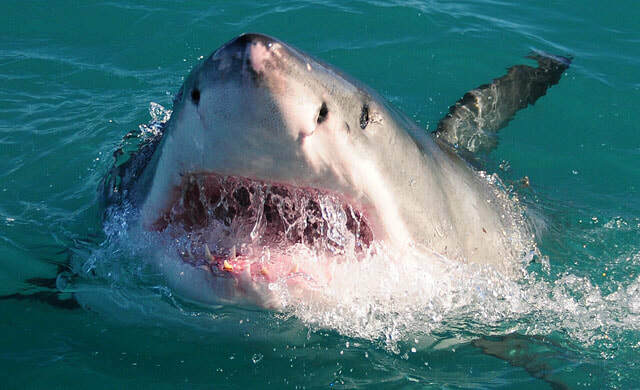 A full safety briefing that explains everything about your safety and the safety of the Great Whites is given, and it is time to call in the sharks. 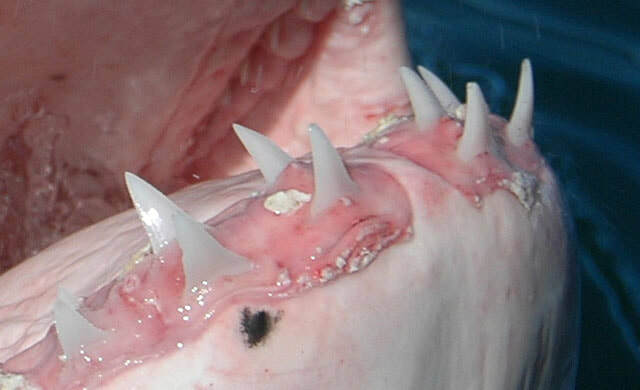 Using a special Chum that has taken decades to perfect the sharks are drawn in, 99.9% of the time sharks are found. 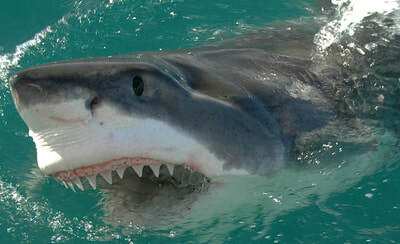 The protection of sharks is paramount on this and every tour Great White Shark Tours offer, the chum does not feed the sharks and no part of the shark is used in baiting the sharks. 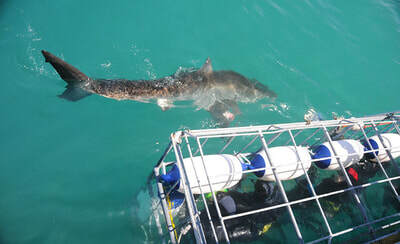 The sharks arrive near the boat, and your adrenaline will begin to rush through your veins. After watching the amazing beasts from the boat for a while, it is time to drop the cage, and it is you’re your chance to enter their world for a Cape Town experience like no other. Meeting Great White sharks face to face with Cape Town Day Tours in a day out in Cape Town that will blow your mind. The fresh ocean air and the spray from the boat are all part of the experience and once you arrive home, you will be able to tell everyone that you have been face to face with a man-eating shark. 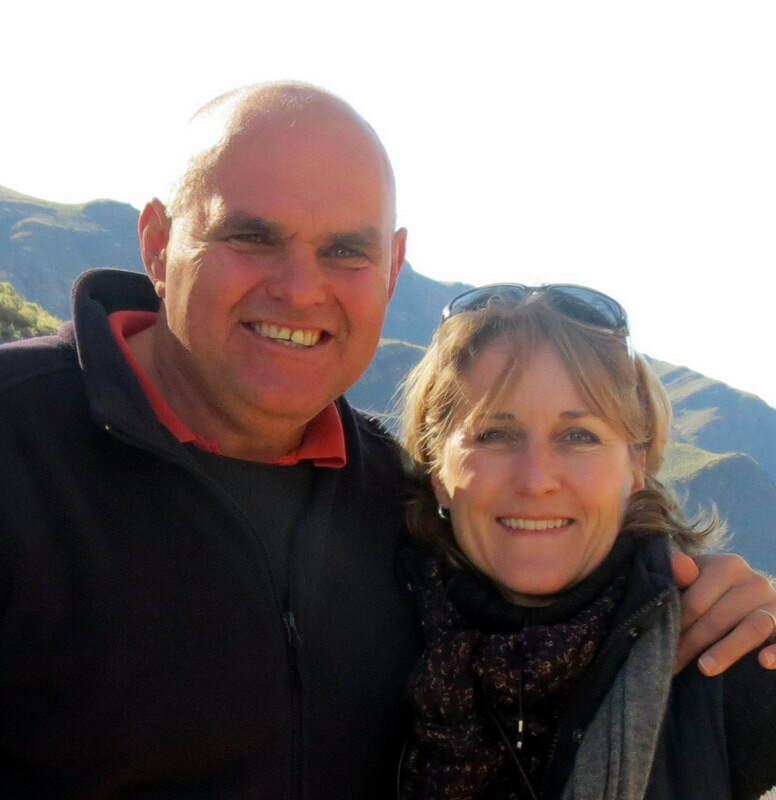 I wanted to write and thank you, your company and especially your tour guides, who made our travel experience to Cape Town such an amazing experience. I just wanted to let you know that I had an absolutely wonderful experience. Everyone was on time and held great conversation. It made the travel fly by. I will recommend this service to anyone.